Seller Nik208 assumes all responsibility for the listing and deleting of this ad. 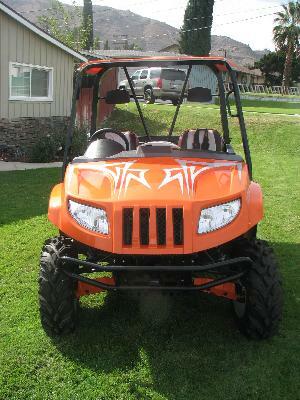 Custom paint, custom upholstery, 5 point harness, sunsheild, ITP aluminum wheels, low hours due to no time to take it out. Looks & Runs Great!